A Northwestern fencer prepares for battle. The Wildcats will travel to State College, Pennsylvania to fence at the Penn State Open this weekend. After two preseason individual, non-collegiate tournaments, Northwestern opens up the collegiate schedule with the Penn State Open in State College, Pennsylvania. However, unlike most meets the Wildcats will attend this winter, the Penn State Open is not a dual meet — it is an individual meet. That means the format is similar to the Remenyik Open and the October North American Cup competitions from October. The Remenyik was NU’s first fencing competition on campus since 2015, and the Cats did a great job in their first event at Ryan Fieldhouse, with 12 fencers finishing in the top five. One aspect of the Remenyik that coach Zach Moss said he was really happy with was the performance of the freshmen. Freshman sabre Abigail Swallow finished second in the junior sabre event, freshman epee Ananya Gupta was second in the junior epee competition and freshman sabre Robyn Songwas the runner-up to sophomore sabre Alexis Browne in the Division I-A sabre bracket. “Our freshman are working really hard, they are fitting in really well, they are performing well as they are acclimating to Northwestern,” Moss said. The Penn State Open will feature some of the best fencing programs in the country — including Penn State, Ohio State, Notre Dame, Temple and North Carolina. Other teams at the tournament are Harvard, Yale, John Hopkins, Lafayette and Wagner. The last time the Cats fenced in State College was the NCAA Championships in March. 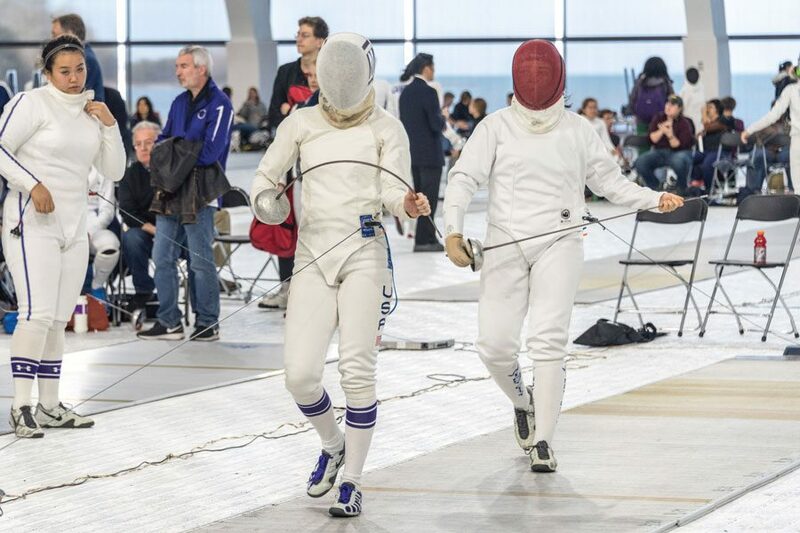 At the championships, four NU fencers battled and three of them — senior foil Yvonne Chart, sophomore foil Sarah Filby and junior epee Pauline Hamilton — finished in the top 12 of their respective event to earn All-American status. The three fencers have all performed well to start the 2018-19 season. Filby finished in third at the Division I-A foil event at the Remenyik, while Chart claimed seventh place. Hamilton had the best finish of the three at the NU-hosted tournament, finishing in first place in the Division I-A epee event. In addition, Chart is coming off a successful weekend at a World Cup event in Barcelona. She finished 3-3 in a pool that featured Japan’s Haruka Yanaoka, who finished fifth in the competition. In the direct elimination tournament, Chart lost a close 13-12 bout to Spain’s Barbara Ojeda.